Yes. 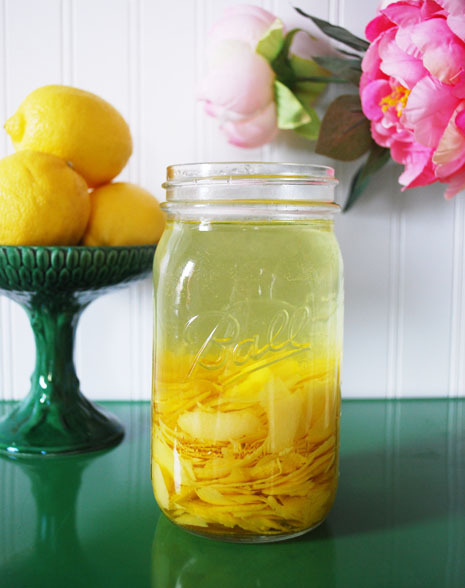 I have peeled off some lemon peels and they are steeping in a mason jar full of vodka. Things, to date, have not been all that labor intensive. However, I’m expecting them to hot up shortly . . . because a package of fabric is scheduled to arrive any moment . . . and the second it shows up I have to crank out three Easter dresses. Then this Thursday is Jemima’s 10th birthday – and as you may or may not have noticed, that puts her birthday as being on April Fools Day. (Not my fault – I did my best. I was in labor all day on March 31, but she refused to be born until 7 minutes after midnight. Oh well. April is a nicer month than March anyway.) What this means however, is that I’m taking a consignment of cupcakes into her 4th grade class, and she would like them to be April Fools cupcakes. Hhhmmm. Luckily, Lizzie just happens to have, amongst her 9,312 cookbooks, a cookbook that has a special section devoted to April Fools cupcakes. So I’m going to have to borrow that sometime in the next short bit here. And then of course there’s the birthday party, and then Easter dinner preparation. In a pitcher, combine the limoncello, sparkling water, blueberries, and mint sprigs. Fill glasses halfway with crushed ice. Pour about 1/2 cup of the limoncello mixture over the ice in each glass. I have asked before if your family was adopting. If you are, I would like to be first in line. Thank you for sharing the delightful recipe! And, blessings to you amidst the mad dash of to-do’s that are in line to come. oh-this post made me SO happy. Why? Because you seem to think that you can crank out three Easter dresses by Easter whenever your fabric shipment will arrive. (Along with everything else) And I don’t doubt that you can. That means, that my goals *MAY* be attainable despite my recent procrastinations. I am making coordinated “stuff” for our family of five. Not over the top, every one looks exactly the same…but definitely coordinated. In fact, I am using ONE shower curtain to pull it all together. Baby girl dress is nearly done and made of shower curtain fabric with white accent bow at waist. Big girl dress is NOT done, but designed. It will be white with shower curtain tie at waste and some fabric flowers in shower curtain fabric. And I need to make a belt with velvet ribbon and fabric flowers and a few flowers to put in my hair (out of shower curtain fabric and some silk flowers). I’ll be wearing a white dress. NOT made by me. wow-my comments are always so long. and you might not even READ them! sheesh. I am a dork. Hmmmm, I’m thinking something like a retroactive Femina camp where everyone arrives in Moscow aged somewhere between 14 and 21 for six weeks of instruction in the womanly arts. That’d be worth a year’s mad money right there. Funny, bean. You’d think I had hopes of building a time machine for all the procrastinating I do. I was hoping my daughter would come on April Fools Day but she came on the 29th instead. Bean -Yikes indeed. Only way you could convince me rolling back the clock was a good idea would be to give me a retroactive NSA scholarship. Dang, now I’m going to go help Valerie with that time machine. By the way, Bekah…what other use did you find for the ten nekkid lemons?